There are a number of hosting plans available in the market. The most famous and widely used options include- shared web hosting, VPS web hosting, and dedicated servers. 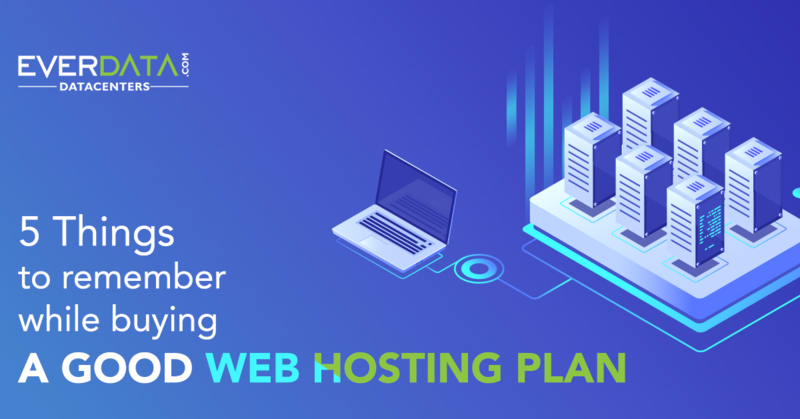 In order to purchase a web hosting plan that perfectly caters to your website requirements, you should have a clear understanding of the different options along with their impact on your digital business. For example, if you want to buy cheap hosting plan then shared hosting package is the best choice for you but it offers the lowest levels of privacy and security. On the other hand, if privacy/security is your major concern then it is advisable to purchase VPS hosting plan or dedicated server. Though it is more expensive, you can rely on the high standards of security and privacy. Shared web hosting is the most economical hosting plan that offers sufficient support for the basic or simple websites that don’t have any specific demands. 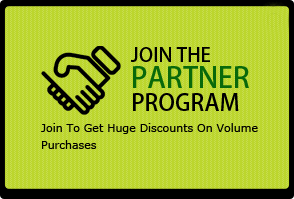 Most of the beginners prefer to buy shared hosting plan when they start their digital journey with a shared hosting plan. However, you get only the most basic services and cannot claim a dedicated pool of resources. When you purchase virtual private server or VPS Hosting plan you get a dedicated pool of virtual resources that are not shared by any other website on the server. While you still share the hardware server with various other websites, you will get your own private virtual hosting system that offers better security and privacy. Most of the MNCs, giant corporate entities and global brands choose to buy dedicated server and there are solid reasons for the same. The dedicated server offers you the maximum owner rights over your web hosting ecosystem. You own the hardware server and all the resources and capabilities included in the plan. There is absolutely no other website residing on your server or consuming the resources. Apart from the maximum privacy and security you also get the excellent stability and lightning fast speed. In short, it is the most business-friendly web hosting plan. Pro Tip: If you want to upgrade just a few features of your VPS plan then it could be a wise decision to buy SSD VPS Cloud that offers better speed (SSD), scalability (Cloud), and security. Just like other subscription based service the web hosting service might encounter various issues that can affect your overall experience and more importantly it can negatively impact your digital business. A quick and precise support team can offer you the precise support services to resolve your issues immediately and thus minimizing the chances of negative consequences. So, make sure that your web hosting offers reliable customer support services to take care of various issues. Top web hosting providers hire in-house support team, offer 24X7 support and can be reached via multiple platforms like chat, phone or ticket. It is not uncommon for the hosting providers to offer you the 97%+ uptime guarantee but not all of them make the genuine claim. Hence, instead of getting impressed by the advertised figures, you should rather look for the track record. There are a number of unbiased hosting review sites, social media groups and blog forums where you then can help you in determining the track record of the hosting provider and deciding whether the hold a proven track record of good maximum uptime as they promise. Going through these resources will help you make a well-informed decision. At some point in time, you might outgrow your present hosting plan. In that case, you would require upgrading web hosting plan. A good hosting provider should be able to scale up promptly the resources to match with your changing requirements. Likewise, if you wish to graduate from shared hosting to VPS hosting then the provider should offer you the quick services without any hassles or delays. They should be a pro at upgrading your service without affecting any vital stats/SEO ranking of your site. The money back guarantee proves that your hosting provider is really serious about meeting their commitments. Secondly, if for any reason you are not satisfied with the service or discover that the service really does not align your objectives/budget then you are always free to discontinue the same and get your money back. In order to gain the best benefits out of your website it is very important to purchase best web hosting package that can offer you the excellent uptime, smooth speed and round the clock quality support to resolve any issues. 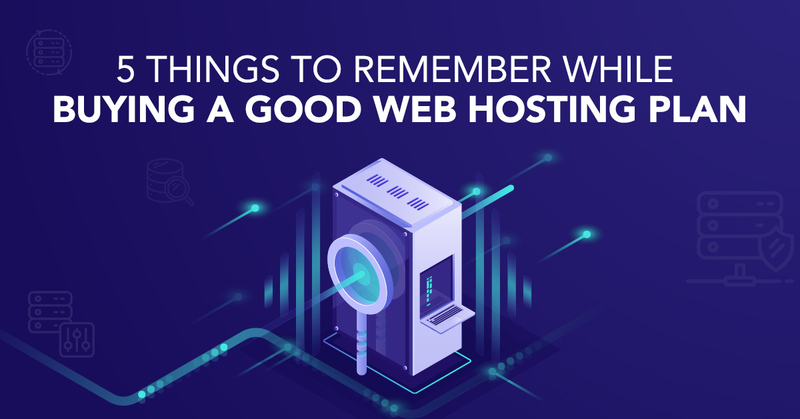 This blog highlights the major features to look for when you hire a web hosting provider for your website.